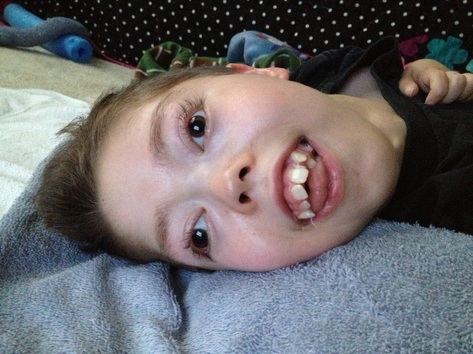 Jack smiled bigger and brighter than everyone around him, and he had a big personality to go with it. He loved lots of things … physical comedy (like pretending to punch someone), epic fails, people who act goofy, Spongebob, Sesame Street, hearing the Happy Birthday song and also hearing his classmates get “busted” at school … but most of all he loved his family and his family still loves him, unconditionally and forever. He loved getting tossed in the air, strolling around and attending concerts like Rock the Park in Ontario, Canada! Jack was proud to play baseball for the Miracle League and was featured in the local newspaper. Jack’s epitaph reads “your smile brought us light on Earth, your inspiration lifts us up to Heaven”. Jack passed away at 15 years old around noon on June 20, 2015 – 26 years to the exact day and (almost) minute that his very religious great-grandmother passed away. Coincidence? We’ll see you soon, Jack. As always, you lead the way for us.